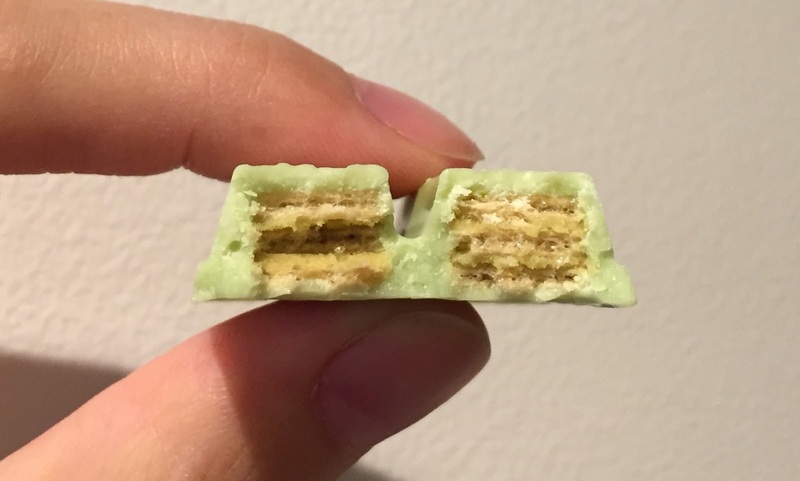 I went to Shinjuku Takashimaya and found there's a KitKat Chocolatory, the special and upscale KitKat shop. I bought "KitKat Chocolatory Connoisseur Pistachio & Grapefruit" that was launched on March 3, 2017. Connoisseur means a person who understands the details, is well-versed with specific areas of art, food, drink and etc. 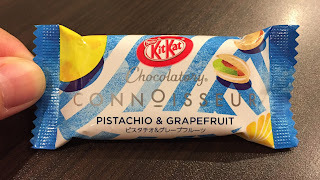 This is the 2nd flavor of Connoisseur series which are based on the inspirations that the patissiers traveled the world. The theme of this flavor is pistachio found in a port town in Greece and the box is also inspired by Greece. 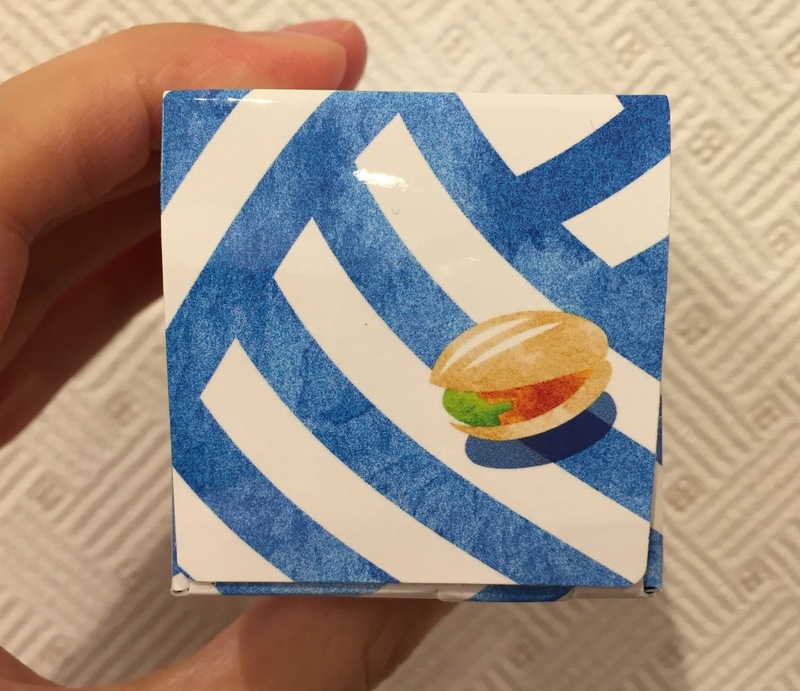 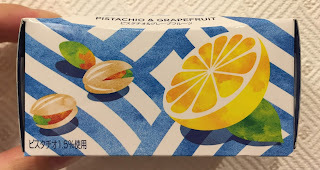 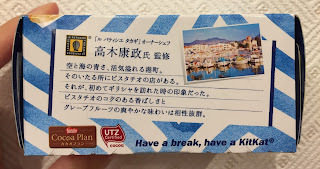 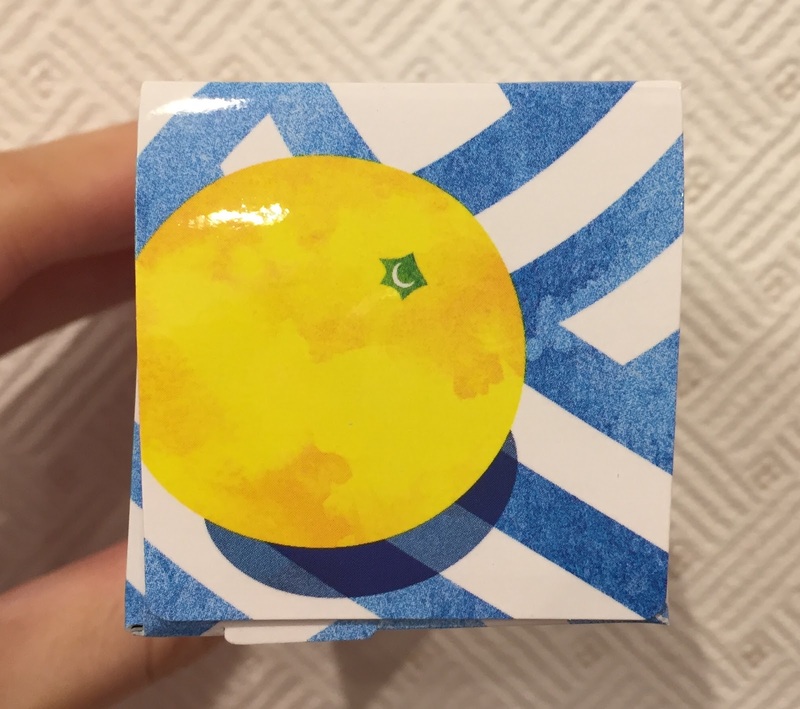 It's supervised by Mr. Yasumasa Takagi, the owner chef of Le Patissieur Takagi, and you can enjoy rich and fragrant pistachio and refreshing grapefruit flavor. 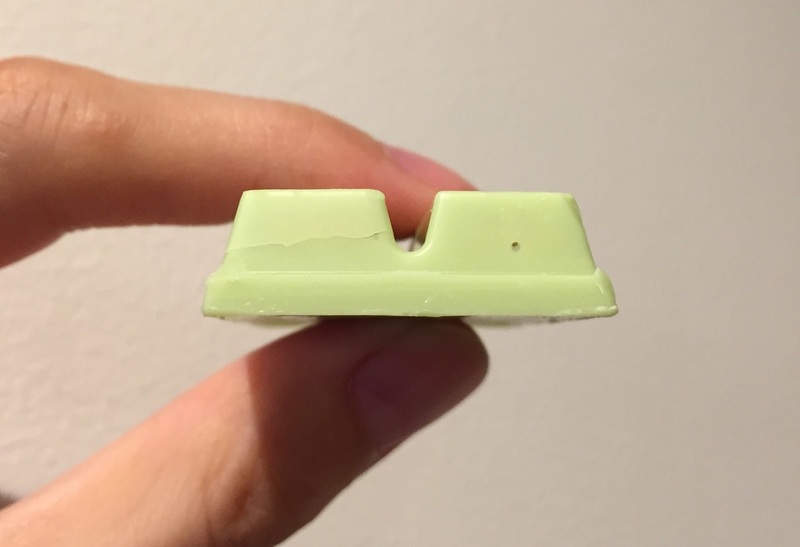 There's a dotted line, and it's to push to open. 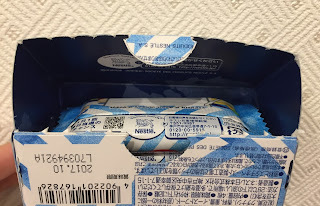 There're 4 individually wrapped KitKat, and the pouches had the same design of the box. 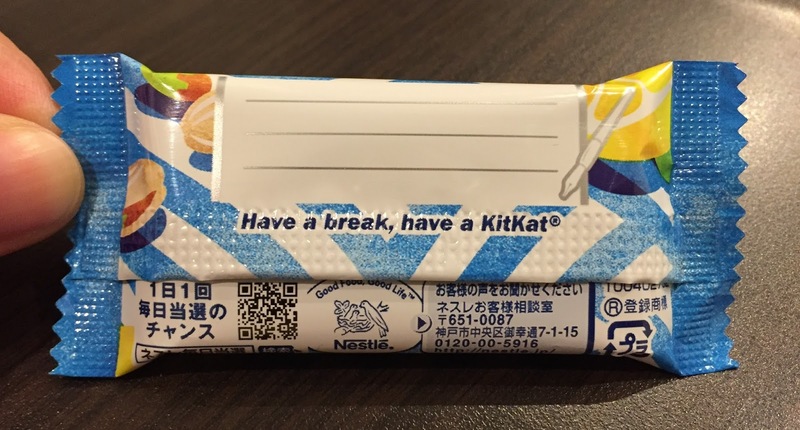 On the back, there's a space to write some message. 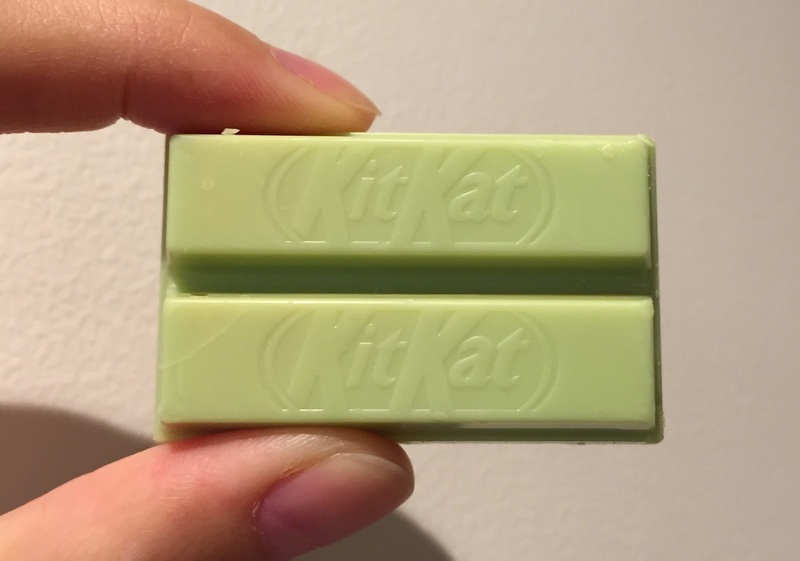 The chocolate was pale green, not as bright as pistachio. 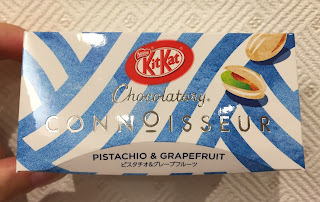 Pistachio was much lighter than I thought, and the aftertaste was sour grapefruit with some bitterness.